Building on the prior research of a priest who had written about the forces behind Italian unity and the confiscation of the Papal States, and the concerns of Pius IX and Leo XIII in the face of this rising hostility toward the Church, Kevin Symonds raises the important question of whether this alone was behind Leo XIII’s vision. Drawing from the writings of an exorcist, later approved by the Holy See, he shows that the concerns of the Pope extended beyond the political events of the nineteenth century, for the Devil’s assault against the Church was more insidious, as he sought to attack the Church from within. At the center of this battle is the Blessed Virgin, destined from the beginning to crush the head of the Serpent. Moving into the twentieth century, the author then examines the relationship between Pope Leo’s vision and Fatima, and the decision of Pius XI, after the Vatican’s reconciliation with the Italian government, to continue the Leonine Prayers while adding Russia as their intention. 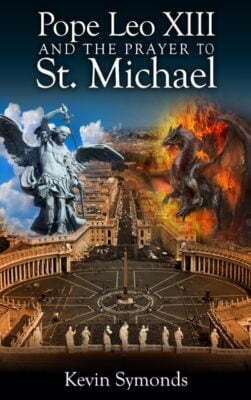 Still, the author’s research does not end there, because the events of the second half of the twentieth century have raised even more questions regarding the assaults of the devil, the importance of the message of Fatima, and the tragedy of what Pope Paul VI called the “smoke of Satan” entering the Church. 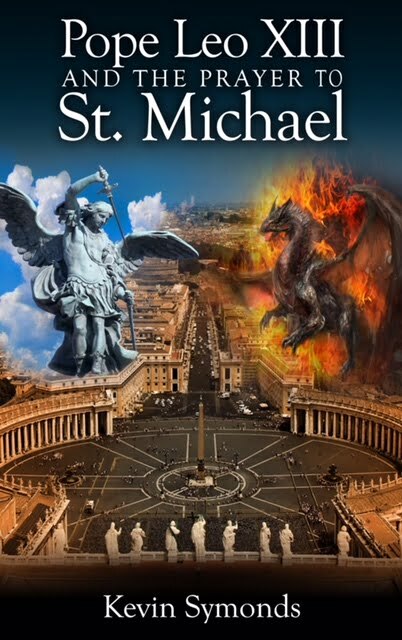 The account goes all the way to the most recent Popes, who were instrumental in the dedication of a new statue of St. Michael inside the Vatican. Kevin Symonds’ research and its benefits to the reader continue to the end with the addition of a lengthy appendix containing additional documentation, such as various versions of the prayers, important papal documents that add the voice of the Magisterium to the historical facts and theological conclusions provided by the author himself. The book therefore gives an authoritative analysis of the history of the Church in recent times – and of the passion that the Mystical Body undergoes in the last times in imitation of Our Lord’s own Passion and Death on the Cross.